South East Asian food is a culmination of all Asian cuisines. 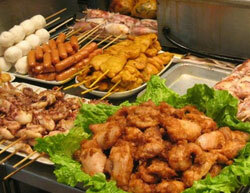 The Southeast Asian region with its multi-cultural population provides a wide range of delicious food. Here we have recipes to excite your palate with flavours from Phillipines, Indonesia, Malaysia, Singapore, Thailand and Vietnam. 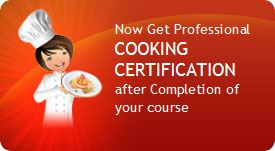 My South East Asian Cuisine Class offers you a complete Asian culinary experience. All the oriental flavours are covered. So instead of just Chinese you learn a variety of Asian recipes. There’s a prominent use of coconut milk, peanuts, spicy sambal paste, exotic vegetables and spices. Some of the dishes may sound very new to you – well, that gives you more reason to try out my South East Asian Cooking Class and get yourself more acquainted with this wonderful cuisine. In fact, students who have attended this class are now more comfortable with the thought of trying these cuisines when they travel to these countries as they are now aware of the tastes and flavours of these dishes.